Akai has been one of the most recognizable and iconic brands in music production for years now, with no signs of stopping. Here again to change the way we create music, Akai releases another new trademark product. The Timbre Wolf, a 4-voice polyphonic analog machine, ready to create any sound you can possibly imagine, incredibly easily all with your own two hands, like the old guys do. Equipped with Akai’s high quality custom keyboard the synth can be configured as a 4 mono voice synth, a 4- voice unison, and a polysynth. I wasn’t kidding when I said options were limitless. 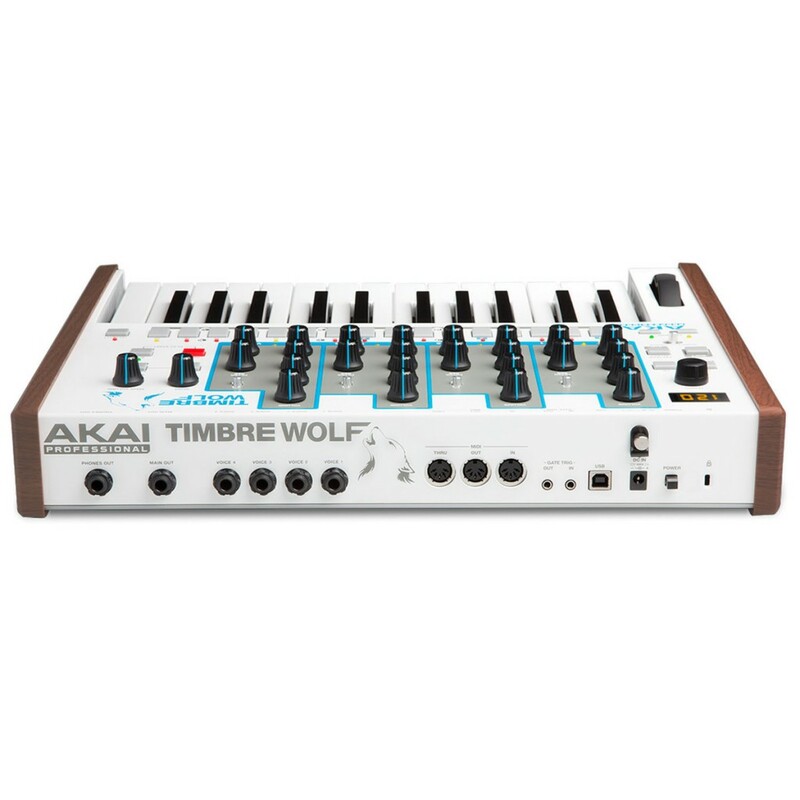 The Timbre Wolf features a 32 step-sequencer, an LED display and +- Octave controls all with the ability to change your sounds live and in sync.